Content marketing is shown to be three times more successful than traditional marketing strategies and can even cost less than doing things the old fashioned way. Knowing this, content marketing can be extremely beneficial for your business when done correctly. Let’s examine 5 ways you can leverage content marketing to generate more leads and convert those leads into clients. When you create content that is more dynamic and comprehensive than an average blog post (such as an eBook or a white paper), make sure to gate it with a lead capture form. 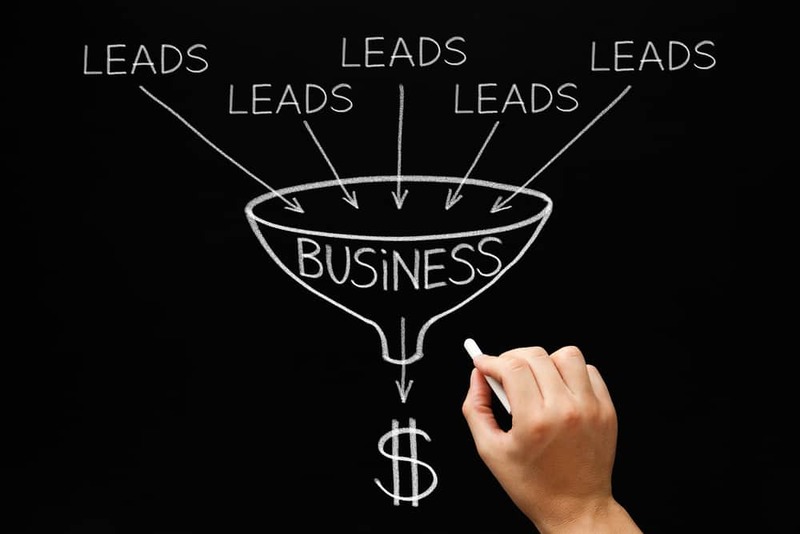 This will help grow your leads exponentially right away. Downloading your content immediately self-identifies these leads as having an affinity for your brand. It’s likely that you have an email marketing campaign all queued up. But, you might want to take a moment to examine your campaigns and make sure that you’re sending your leads thought leadership content as opposed to a sales pitch about your brand. Of course, you want to present them with a sales pitch eventually, but you want to “warm them up” with resources they will actually find useful. This positions your brand as a trusted source of information and will make the lead more receptive to your sales pitch when it comes time. A good rule of thumb is to drip your leads with 5 emails before sending them an email about your brand and then asking them if they would like a demo or phone call to learn more. This balance and steady stream of valuable content will help generate new leads and nurture current leads. You may want to consider a weekly round-up of your brand’s content, and the FeedOtter tool is a great way to streamline this process. Sit down with a hot cup of tea and draw out on a piece of paper the stages that consumers go through that lead them to your brand, while noting specific pain points they may encounter or different questions they may have. Seeing these stages on paper will help you create the right content that will appeal to those target consumers and help you line up your email drip campaigns. Case studies are key pieces of content, but need to be strategically dripped. Knowing where your leads are in the buying process is crucial to understanding when and how you should distribute case studies. Theoretically, the lead should be dripped thought leadership resources like blogs and eBooks to establish brand trust. Once that trust has been established, case studies are key to converting that lead into a consumer. To earn more UGC, you may want to offer incentives in the form of discounts from your brand or gift cards. Sometimes, clients need a reason to produce content about their experience with your brand, and it’s so worth it! Additionally, it’s wise to seek out influencers who have an affinity for your brand and explore how you can work together to have them produce UGC in the form of a product review. This earned media adds an extra layer of authenticity surrounding your brand and can generate a lot of new interest. If this type of content is put in front of current leads, it may get them to the finish line and convince them to convert into a client. Have you tried any content marketing strategies to generate or nurture leads that you want to share? We’d love to hear from you in the comments below!